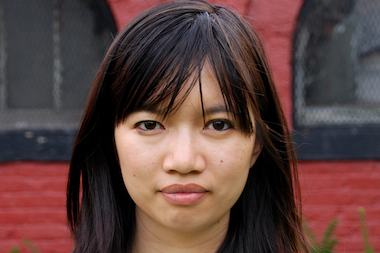 Serena Dai is a reporter/producer covering Williamsburg, Greenpoint and Bushwick. Before coming to Brooklyn, Serena covered Lakeview for DNAinfo’s Chicago site, home of Wrigley Field and Chicago’s gayborhood. She’s previously worked for TheWire.com, the Associated Press Chicago bureau, The Miami Herald and New York magazine. Serena is from Knoxville, TN, and a graduate of Northwestern University, where she helped launch a news site that was once described as "flamboyant and destructive," but eventually won an award for best online student publication in the nation. Her past work has required everything from grilling politicians to digging into development news. But the unusual stories — like a man who lived to trap feral cats, or a perplexing parking spot known to attract hoards of bird poop — have been the highlight of neighborhood reporting. Fun Fact: Serena reported at Heidi Klum’s 2010 Halloween party and was fortuitously mistaken for a member of the supermodel's inner circle. It took three awkward minutes for someone to notice she didn’t belong behind the velvet rope. There's oodles of things to do to celebrate the spookiest time of year. Of the 16 shootings so far this year, 13 of them were gang-related, police said. A man used the door to hit his colleague multiple times at an East Williamsburg factory, police said. "Maybe if I blow this place up that will make you pay attention to me," he said, according to officials. Orr Shtuhl, who teaches beer classes at places like Bedford Cheese Shop, will lead the tour. The suspect pushed the victim to the ground in the Williamsburg Houses, police said. Williamsburg Collegiate Charter School will soon have lights, camera and action. The man and woman were chatting when he went inside her apartment, police said.